WZRD will pay tribute to the golden age of radio with a live radio play performed on Oct. 30. They are students, they are united and they are Wizards. Celebrating their 40th anniversary, Chicago’s 88.3 FM (WZRD) continues to provide freeform radio right from NEIU’s campus. WZRD is celebrating their anniversary with two events. One was WIZfest held last April on campus. 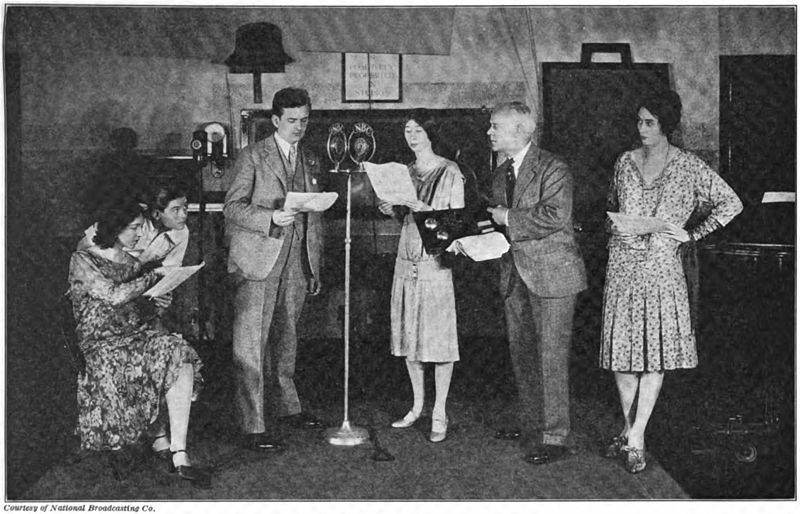 The second half of the celebration continues on Oct. 30 when the station will be airing an original radio play written by the station’s own Wizards. The premise of the play is about the station being haunted by an angry DJ who wanted to play a country block slot and is looking for redemption. This play will be the third radio installment of the haunting hour. Station manager Jonathan Extract explained that the first two plays were not original. “The first time we said ‘print them out,’ and everyone dry reads it once and ‘alright get the mics out guys, we’re going live,’” said Extract. He said this October would be the first professional play done by WZRD, and will have live full effects so that the audience can enjoy a more authentic experience in classic radio show tradition. For example, if someone is walking, two shoes and a piece of wood will be used to create the effect. The live event will start at 6 P.M. in the student lounge and will be simultaneously broadcast. After the radio play, WZRD is inviting bands Feedbackula to play at 7 P.M. and Edgar Allen Ectoplasm at 8 P.M., followed by punk band called Zombie Apocalypse during the regular scheduled Thursday Night Live slot. Extract encourages those who are on campus to come down and watch the radio play this October and assures that the station will continue to plan more events on and off campus with plenty of diversity for everyone to enjoy. On Oct. 17 at 10 P.M., WZRD will host old-school Chicago punk band Tutu and the Pirates at an event off campus event with other bands and a live DJ at Gallery Cabernet. This is a 21-and-over event and it’s free! Extract said that events off campus are done on their own to generate publicity to target demographics that will listen to WZRD because its outreach goes beyond the campus. He also said that these events help the community to foster an environment for art and music. “We have the resources, we have the people and it’s fun to bring those things together,” he said. Take a trip to the station and you will see the walls covered in art and a motley crew of members. It is a student run radio station and original members of WZRD are still involved. “You never really leave the Wizard,” said Extract who has been with the station since 2011. He said the specialization of the station is to play music that is not common and not heard of by most people. He defines freeform radio as not fixed to one genre. Jazz, rock, experimental music can be heard on the same slot. New City magazine in 2013 named WZRD best college radio station in Chicago. WZRD was also awarded the Nelson Algren award in 2013 for their community service. They help spread awareness on social issues not typically covered by commercial media. “Giving voice to the voiceless,” he said and they generally specialize in supporting the underdog. Extract said that while many college radio stations are being bought out by larger companies, or are not run by students at all, WZRD has succeeded in being managed purely by NEIU’s students and alumni. This is a rarity in the college radio community.